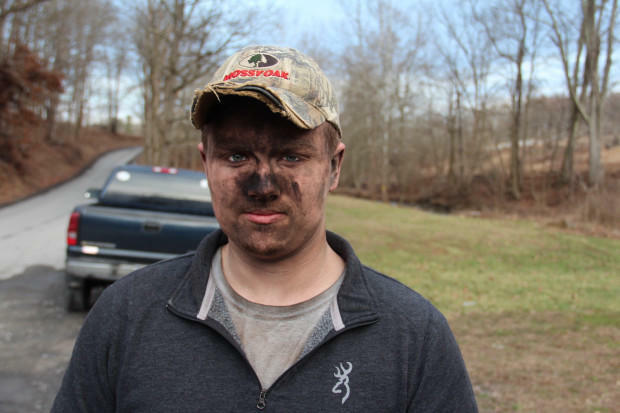 Austin Turner, 19, of Gladesville, W. Va. is one of 370 miners getting laid off at the 4 West Mine in Mt. Morris, Pa.
Austin Turner was headed back home to West Virginia on a recent afternoon from his job at the 4 West Mine in Mt. Morris, Pennsylvania. It was going to be one of his last shifts there, as the mine would be shutting down soon. At 19, he’d only been there eight months — but he loved it. “It’s a nice place to work, a great group of guys, hard workers. I hate to see the place shut down, but it is what it is, move on to another mine,” he said. His face was covered in black coal dust, after he’d spent the day few hundred feet below ground. He likes coal mining, he says, because it’s not like other jobs. “It’s something most people never see. It has a little bit more of an adrenaline rush than most jobs,” he said. Plus, he said, he comes from a family of coal miners, and he liked carrying on the tradition. In January, Morgantown, W.Va.-based Mepco LLC notified the state that it would begin idling the mine in early March. The company will keep a crew on for several months while it closes the mine. All told, 370 workers will lose their jobs. The beltline at the 4 West Mine, sent coal to the Longview Power plant in Maidsville, West Virginia. The mine opened in 2005. In recent years, it has produced coal for the nearby Longview Power plant in Maidsville, West Virginia. The mine’s productivity waned in recent years. It produced 1.6 million tons of coal last year, down from a high output of 2.1 million tons in 2015, according to federal Mine Safety and Health Administration data. Some of the mine’s problems were due to local factors, said Washington County coal mining consultant Art Sullivan. 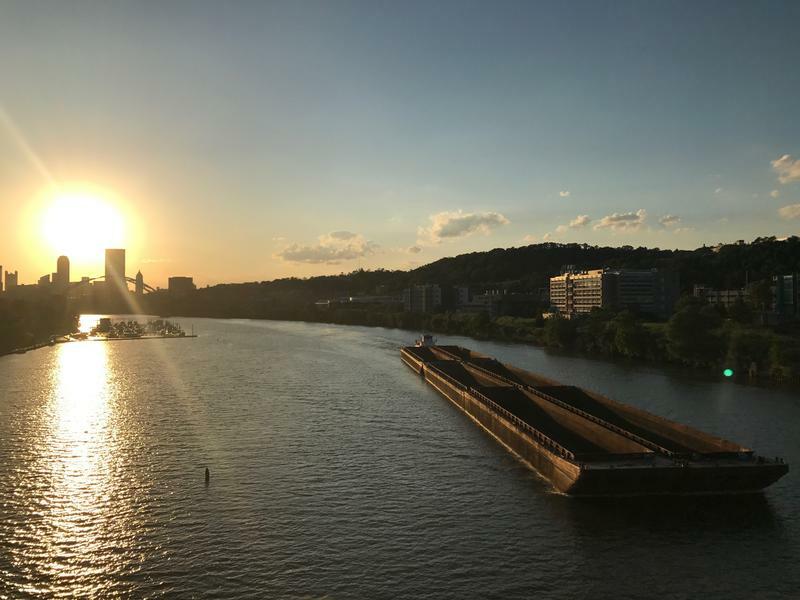 He said the Sewickley Coal seam, which 4 West follows, is not as thick or consistent as the Pittsburgh Coal seam, where most coal mines in the region still work. “It’s a thinner seam and generally the geologic conditions are not as favorable,” Sullivan said. 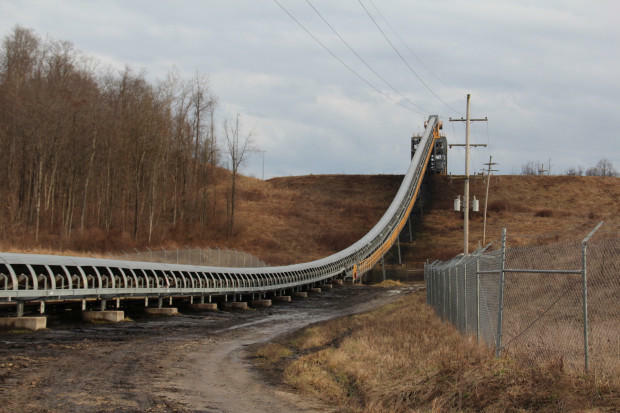 In addition, the mine has encountered roof falls, and the Pennsylvania Department of Environment Protection ordered parts of the mine shut down in 2016 after a worker died there. It was the second worker fatality at the mine in a seven-month period. Sullivan said that other mines also use longwall mining machines, which are more expensive but faster and more efficient than the mining machines 4 West used. The mine also faced a problem all coal mines in the region must face: natural gas. There are five new natural gas power plants planned for southwestern Pennsylvania in the next few years. That will leave fewer and fewer mines for people like Austin Turner to work in. Several 4 West miners did not agree to interviews, but most said they would probably be able to find work at other mines, though they might have to take a pay cut or drive further away to do so. Stopping into a grocery story a mile away from the 4 West Mine portal, retired coal miner Allen VanGilder of Morgantown, W. Va. said that’s what worries him. 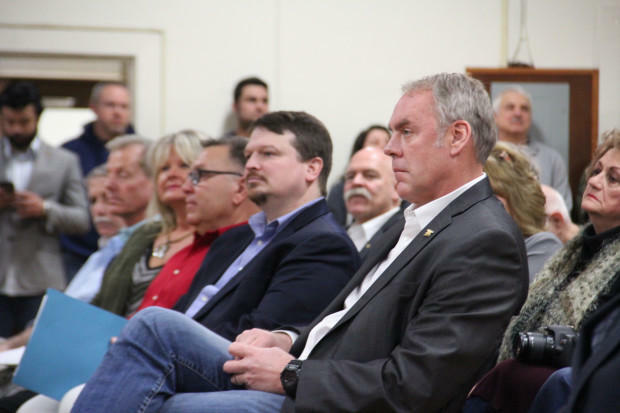 Ryan Zinke, President Trump’s Interior Secretary, came to Western Pennsylvania to tout the federal government’s abandoned mine cleanup program. It was an appropriate setting. 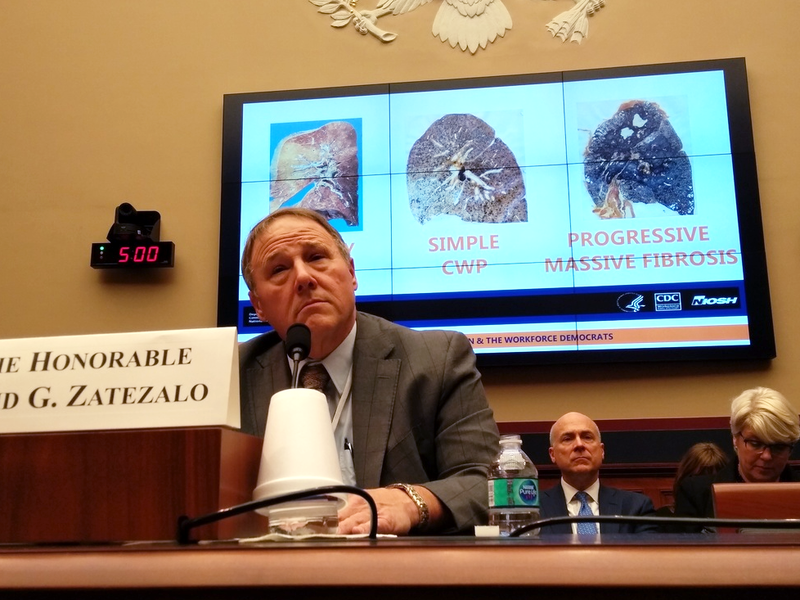 Epidemiologists at the National Institute for Occupational Safety and Health say they've identified the largest cluster of advanced black lung disease ever reported, a cluster that was first uncovered by NPR 14 months ago. Commercial and recreational boat traffic on the Ohio River will be considerably slower until June. Starting Tuesday, the primary lock chambers on the Emsworth and Dashields Locks and Dams will be closed for repairs, according to the U.S. Army Corps of Engineers.